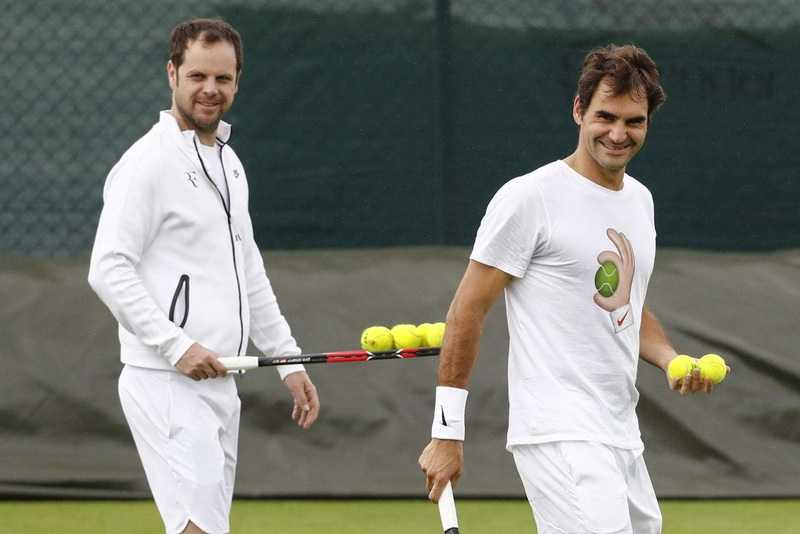 Roger Federer's coach, Severin Luthi, says the 17-time Grand Slam champion has not been on a practice court since Wimbledon, but is working to rehabilitate his injuries. The world No. 3 announced this week that he would not play again this season, but plans to make a full comeback at the start of 2017. "Since Wimbledon, we hoped Roger could play again rapidly. But we have not even been on the practice court since, which is why this step became obvious. If Wimbledon did not mean so much for him, he probably would have not played it. "He is working with the physio. He is rebuilding the whole muscle structure, the back and the leg. If he had to play tennis today, he could do that also. The question is at what level and with what price." According to Luthi, Federer's fall in the Wimbledon semifinals did not affect his decision to take the rest of the season off. "No, it has nothing to do with this fall. There he had a moment of being afraid, because he did not know what had happened and because he was not fully fit. Till now, he only had few experiences with injuries. "Since it is solely for the rehabilitation and reconstruction. Another surgery is not necessary because there are no complications in the knee. That's important. He now wants to get back to the state where he can compete 100 percent again." "No. Never. It's a miracle to see how Roger likes to train, to play, to compete and to travel at his age. I think he is capable of returning back to the world's best, absolutely." "Roger’s goal is still to play long at the highest level. He has sacrificed the Olympics to play few more years on the tour." He said the team would now develop a detailed schedule. Federer will work with his physiotherapist on his injuries, and can have a longer session with his physical trainer than he usually does while playing. Then he will return to the practice courts, barring a setback. Luthi said he is "entirely convinced" that Federer will return, describing him as "positive and inspired." "Usually, the coach would, for weeks, have to pump up the player," he said. "With him, it's different."